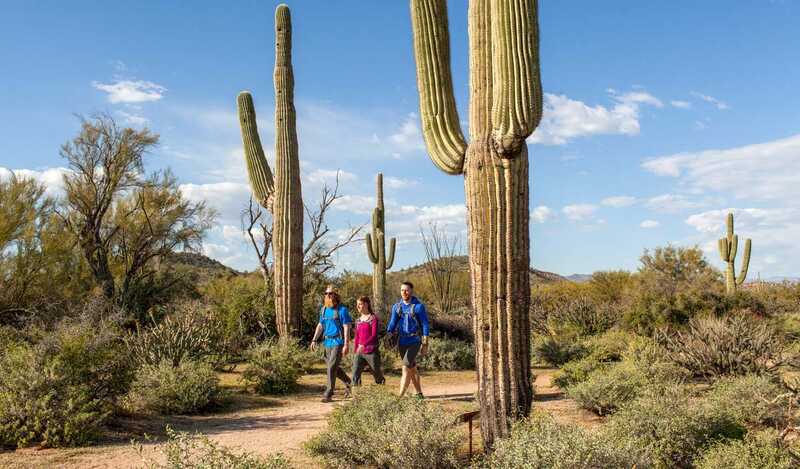 The McDowell Mountains rise above the city of Scottsdale, four thousand foot peaks nestled on over 30,000 acres of protected land called the McDowell Sonoran Preserve. Arizona Outback Adventures’ home office and bike rental shop are just a short distance away from the Gateway to the Preserve trailhead, making it one of our favorite places for hiking and mountain biking. The Preserve is a great place to go see the iconic giant saguaro cactus and to experience the desert up close and personal. Most of the trails in the preserve are multi-use trails where you are likely to see hikers, bikers, and even equestrians out on the trail. No visit to Scottsdale is complete without experiencing this incredible wilderness right within the city limits. There are numerous trailheads, and a few of the main access points have first-class facilities with interpretive volunteers, bathrooms, signage, and even ADA accessible trails at Gateway Trailhead and Lost Dog trailhead. 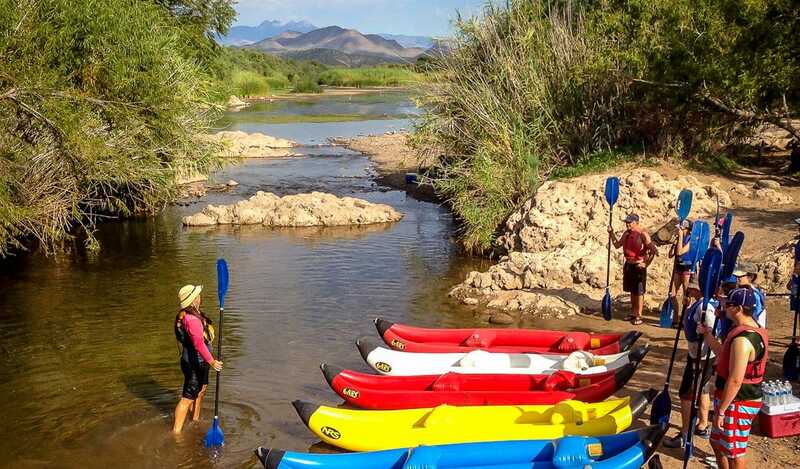 The Brown’s Ranch trailhead offers sweeping views of Arizona’s 7,000 ft tall Four Peaks as well as easy and moderate hikes and mountain bike routes for adventurers with less experience.